Seventeen-year old Ryan Catalfu trained for this moment all year. Most recently this summer, he spent two hours a day practicing at home in North Carolina. He completed more than 300 trial runs ahead of the finals, attempting to beat the fastest time in his state and improve his own score with each go. It all paid off this week when Catalfu stood in front of the cheering crowd, slipped a gold medal around his neck, and turned to beam at the cameras. 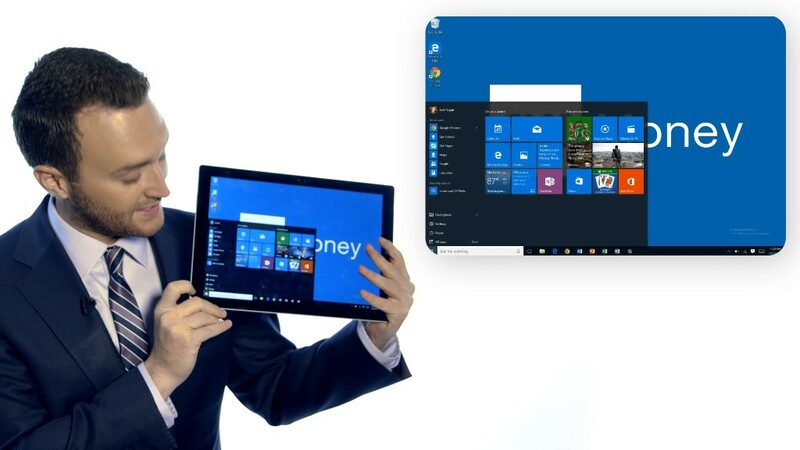 He was the world champion of Microsoft Power Point. 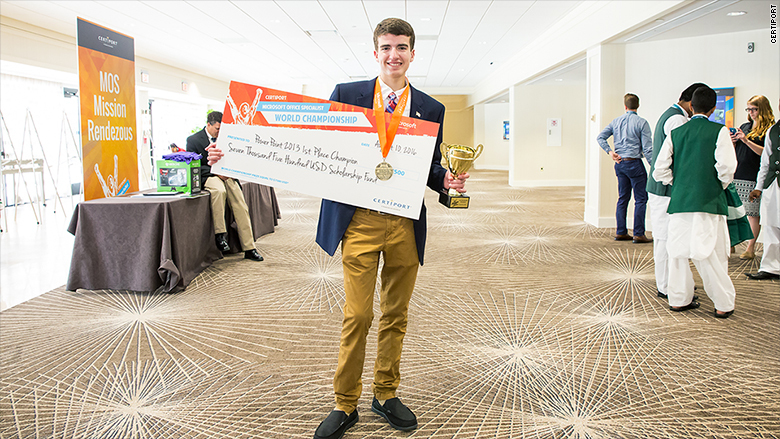 Ryan Catalfu takes home the gold (and the prize money) at the Microsoft Office Specialist World Championships. 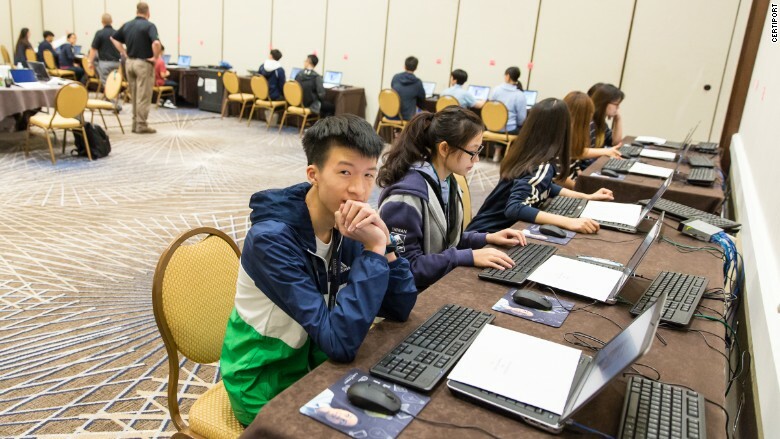 In a Florida Hilton, thousands of miles away from the hubbub of Rio, young adults from around the world gathered for the annual Microsoft Office Specialist World Championships. 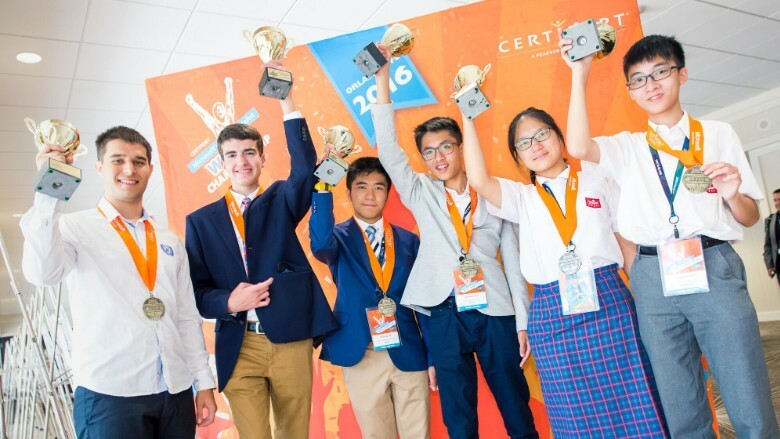 They competed for gold, silver and bronze medals in Microsoft Word, Excel and Power Point, and up to $7,500 in prize money. The competitors, ages 13 to 22, came from 50 countries around the world. Many wore matching team t-shirts and hoodies, a few carried their country flags. "Some call it the nerd Olympics," said Craig Bushman, who has run the event for six years. Bushman is a marketing VP at Certiport, which puts on the event with Microsoft (MSFT). "I'd venture to say a lot of people who feel like they are experts would not pass this test." Unlike running or gymnastics, whipping up a Word document is not exactly a spectator sport. The tests are carried out in silence, with the students sitting side-by-side in front of PCs. Participants come from all over the world to compete in the Microsoft Office Specialist World Championships. For the final trial, they are each given 50 minutes and materials to re-create a mock document in their native language using Office 2010 and 2013. There is no audience and no judges. A computer generates the final score based on accuracy and time. "I was definitely not sure I was winning. I really really hoped I would win, but I was extremely nervous at the awards ceremony," said Catalfu, who had to make a complex Power Point Presentation about a winery. The soon-to-be high school senior says he has been using Office his "whole life" but only really got into the competitions two years ago after encouragement from teachers. "Once I started, I got hooked on them," said Catalfu. "I found it fun." Hong Kong's Sze Ching Lo after being named the silver medalist for PowerPoint. For many of the students, the competition is serious business that can help with college and job offers. They hire coaches and set strict training schedules. More than 800,000 hopefuls applied this year but only 122 made it past their regional finals. Then they had to find sponsors and raise money for travel costs to Florida. The Zimbabwe team, attending for the first time, got stranded in New York on the eve of the contest due to the Delta airlines outage. Devastated, they called the organizers and were able to take their tests two days late. Even with the pressure, there are few if any bitter rivalries here. Many of the students are happy to finally meet others with the same niche passion. It's not often a couple of 15-year-olds can bond over macros. The teams mingled in a lounge area over games and snacks, and during a day out at Disney's Magic Kingdom. "They're trading pins and shirts, take selfies together and connect on Facebook and LinkedIn," Bushman said. Catalfu, who placed second in Microsoft Word last year, is already thinking about coming back in 2017. Since a person can only compete in each program once, he can return one last time for Excel. But first he's going to enjoy his Power Point prize money. "I might get a Surface or an iPad, and I'll probably donate a little of it to World Wildlife Fund."